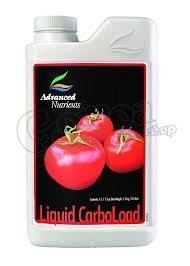 Advanced Nutrients CarboLoad is guaranteed to stop bloom phase stalling, and will encourage larger and higher quality crops by giving plants the sugars they need to thrive. The sugars in CarboLoad improve the plants' metabolism and vigor, which creates more flavorful and aromatic fruits and flowers. The formula is available in powder, which is ideal for smaller systems fertilizers are hand mixed, or liquid for larger hydroponics and drip emitters. CarboLoad works well in conjunction with other Advance Nutrients products such as Piranha, Voodoo Juice, and Tarantula.